Over the period 2006 to 2010 capacity development was treated as a special topic in a total of 19 peer reviews in recognition of its increasing importance in development co-operation. In addition, how DAC members work to support capacity development in their partner countries has been discussed in many other peer reviews under the heading of aid effectiveness. 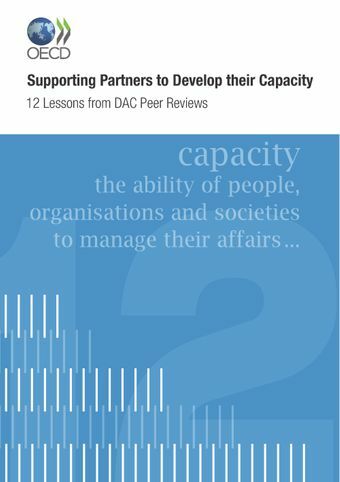 This booklet draws out some common themes or lessons regarding capacity development from these peer reviews, including technical co-operation which is one of the main forms of DAC members’ assistance to partner countries. The lessons are focused on how DAC members can reform their technical co-operation and other practices to better support partners to develop their own capacity. The booklet includes examples of DAC members’ practices and experiences, and sketches out the challenges donors still face as they move towards better support for capacity development.